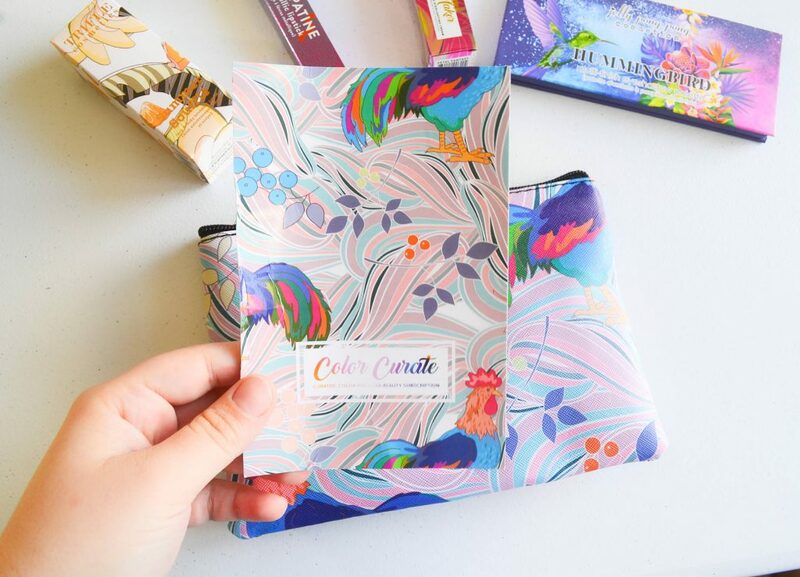 Color Curate is a beauty subscription box that sends out a limited edition makeup bag and 4 full sized makeup products each month! Their makeup is colorful, vegan, and cruelty free. 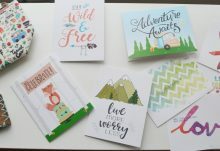 A monthly subscription is $20.95 per month, but the products inside are worth way more than that! Today I will be reviewing Color Curate’s January 2019 subscription. 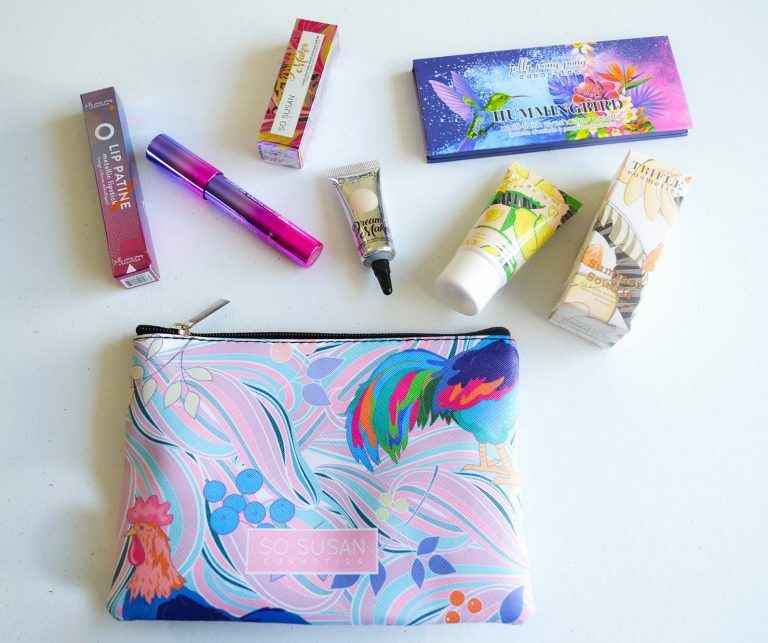 I LOVE January’s collector’s bag! 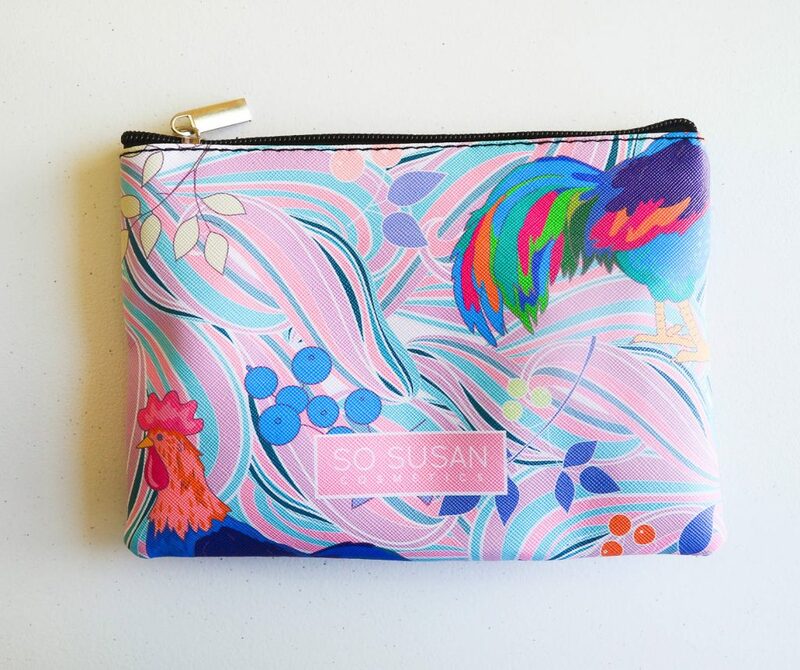 It’s covered in neon-colored roosters, colorful berries, and pastel swirls. 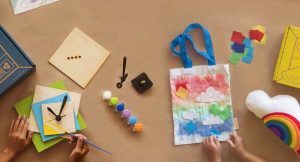 Color Curate always picks really creative designs for their bags. Color Curate included an insert with a product list and prices. The front of the card matches the makeup bag, and the back of the card had the product info. 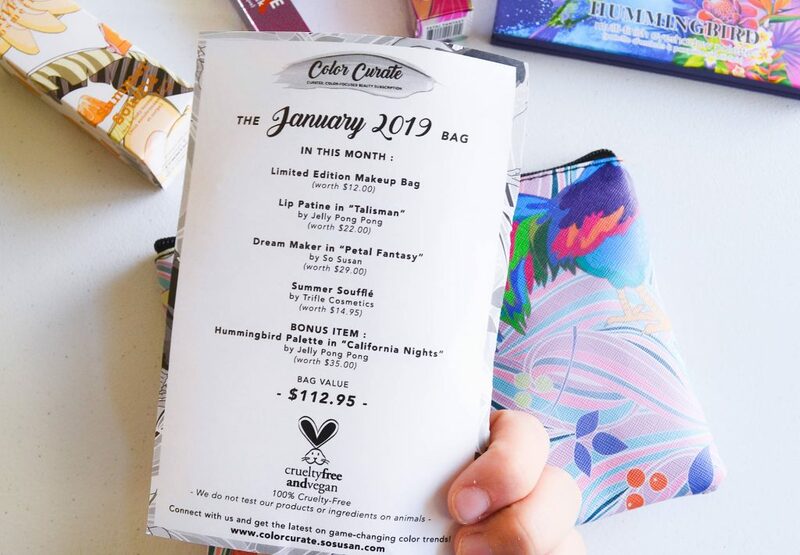 Wow, January 2019’s bag is worth $112.95! I’ve reviewed Color Curate for the last several months, and the value just keeps going up and up. There were 4 items in total in January 2019’s curation. Let’s talk for a second about how gorgeous the packaging is! Every month, the makeup is packaged in bold, unique boxes that I just can’t bear to get rid of. 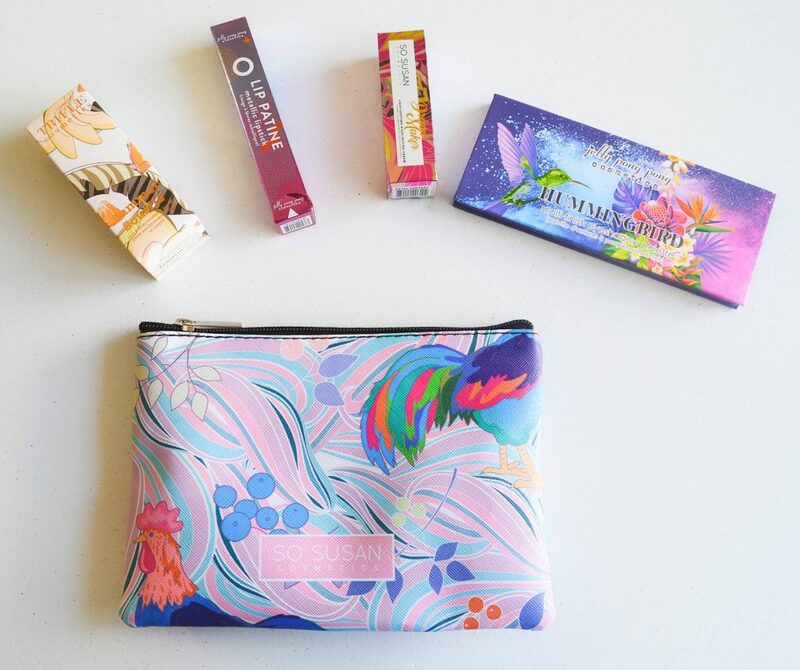 And look at how beautiful the artwork on the hummingbird palette is. These products look great on your shelf, as well as your face. 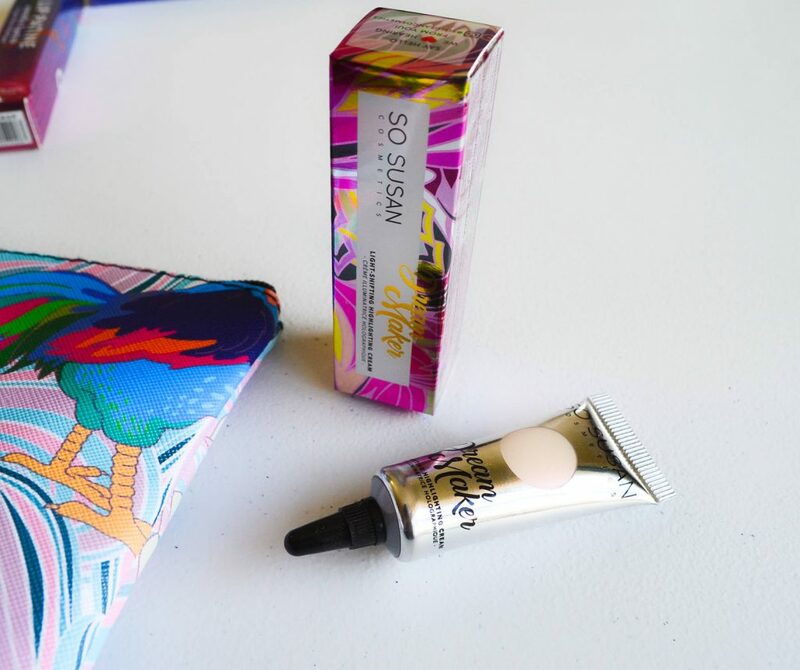 First, let’s take a look at this So Susan Cosmetics Light-Shifting Highlighter Cream, worth $29. I received the shade Petal Dreams, which is a beautiful peachy pink. I received this product in a different shade a few months ago, and I loved it. I’m glad to say, I love Petal Dreams even more! 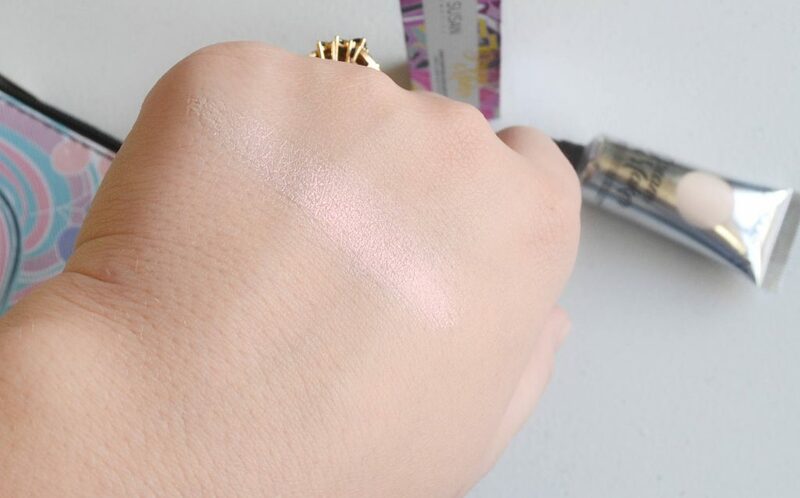 Its rosy glow will flatter most complexions, and it can be built up from subtle to blinding. A little bit goes a long way, and it’s easy to blend – and it doesn’t strip your foundation like some cream highlighters. I prefer a highlight that makes me look lit from within – and this product helps you achieve that. In the picture below, I have the tiniest amount applied on my cheekbones and the tip of my nose. 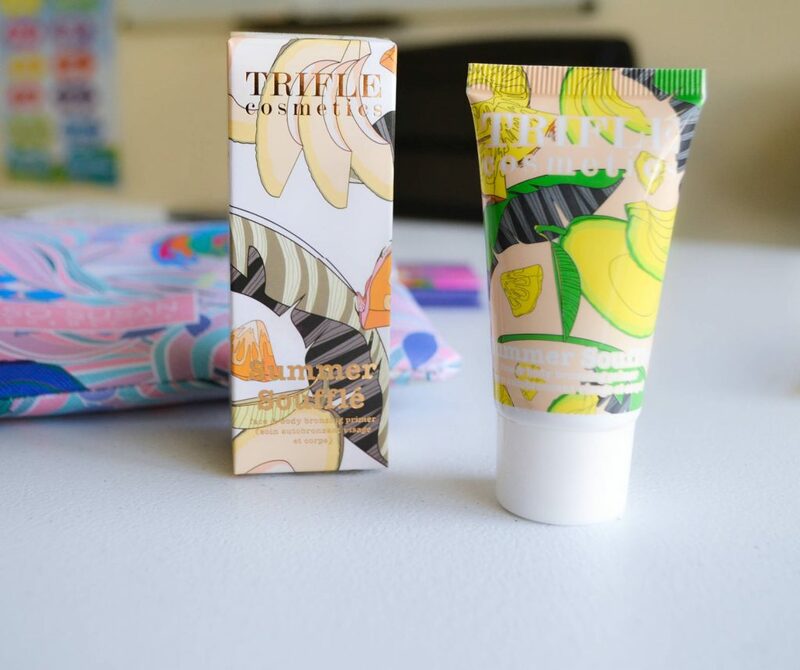 The next item I received is this Trifle Cosmetics Summer Souffle Bronzing Primer, worth $14.95. This can be worn under your makeup, to give you a subtle bronzy glow. And, it washes right off so you don’t have to worry about staining. The cream is quite dark, but it’s a lot more sheer once you blend it out. Even so, I am very fair and the cream is a little too dark for me to wear. 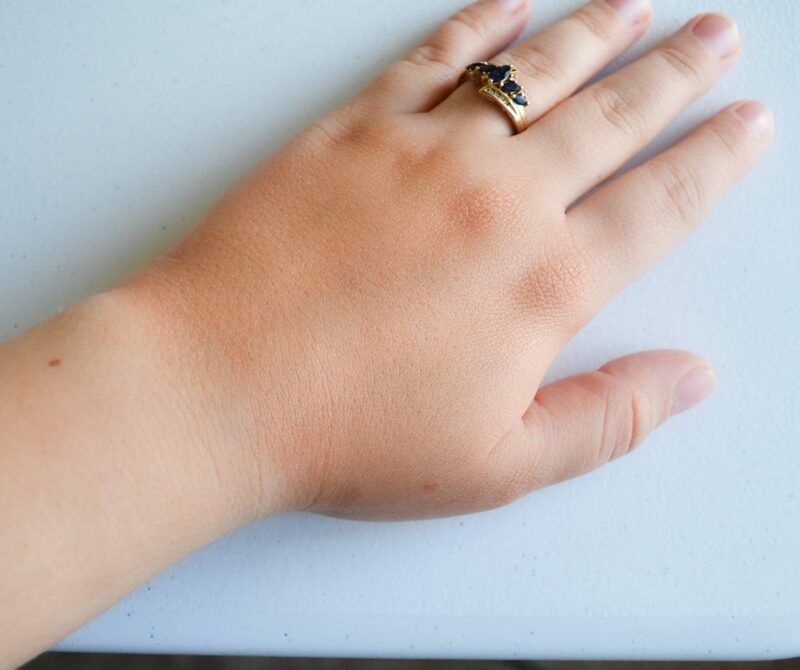 I tried it wearing a small amount under my makeup, and my face was so much darker than the rest of my body! As you can see in the picture below, the cream made a pretty significant change to my skin color. Now, a lot of people’s faces are way lighter than their bodies, so this bronzing primer would be really useful to them. However, since my face is pretty much identical in tone to my body, this product doesn’t really work for me. 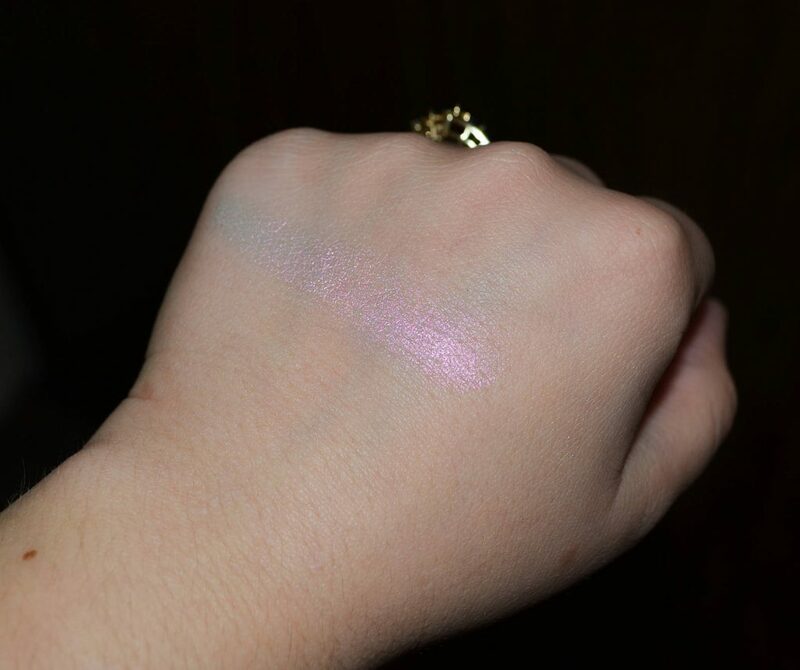 I also received a Jelly Pong Pong Cosmetics Metallic Lipstick in the shade “Talisman”, and it’s worth $22. 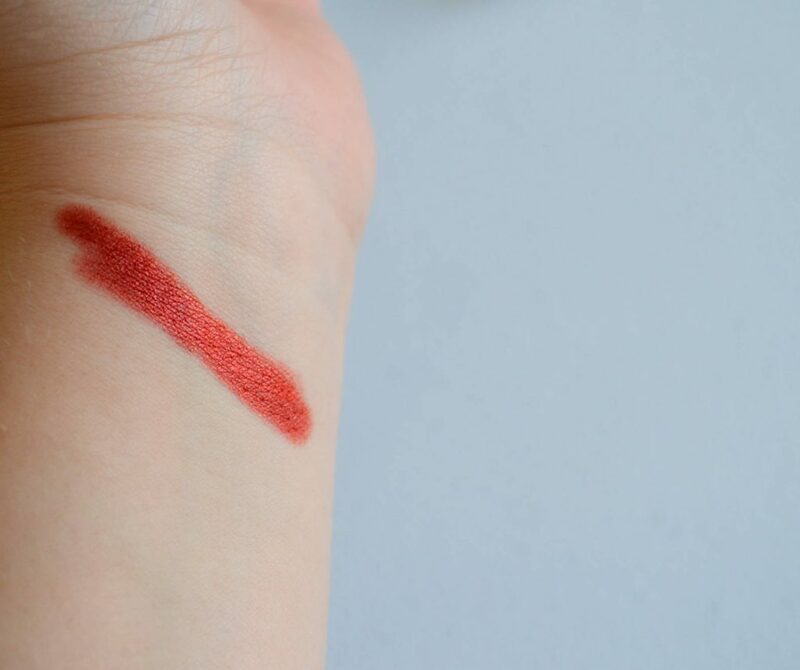 This is another product that I own already – the other shade I have is “Trinity”, which is a candy apple shade. Talisman is more of a red-orange, but is just as beautiful. 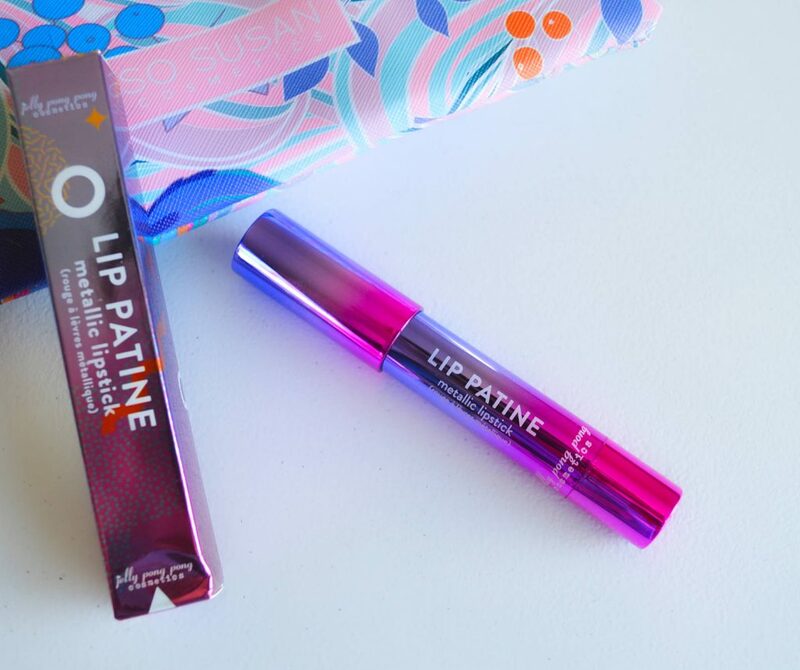 This chubby lipstick crayon is so creamy, and glides on your lips easily. It is very pigmented and has a shiny, metallic finish. And here is how it looks on my lips! 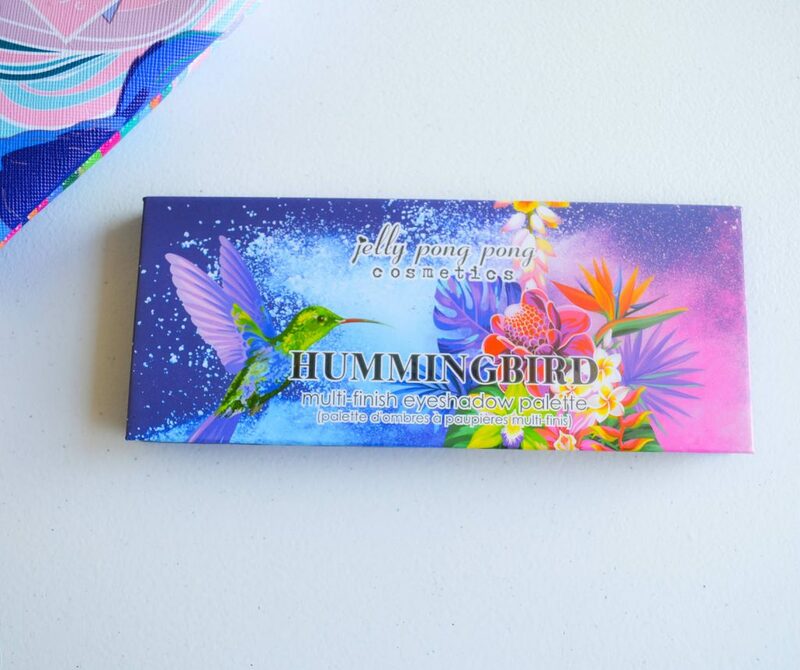 The final item I received in January 2019’s curation is this Jelly Pong Pong Cosmetics Hummingbird Palette in “California Nights”, and it is worth $35. 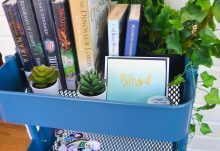 I absolutely love that Color Curate includes full sized palettes in their subscription! I received another variation of the Hummingbird palette, “Ocean Dreams”, several months ago. I have to say, I like the previous color scheme better, but that’s just because I really love blue and purple eyeshadow. 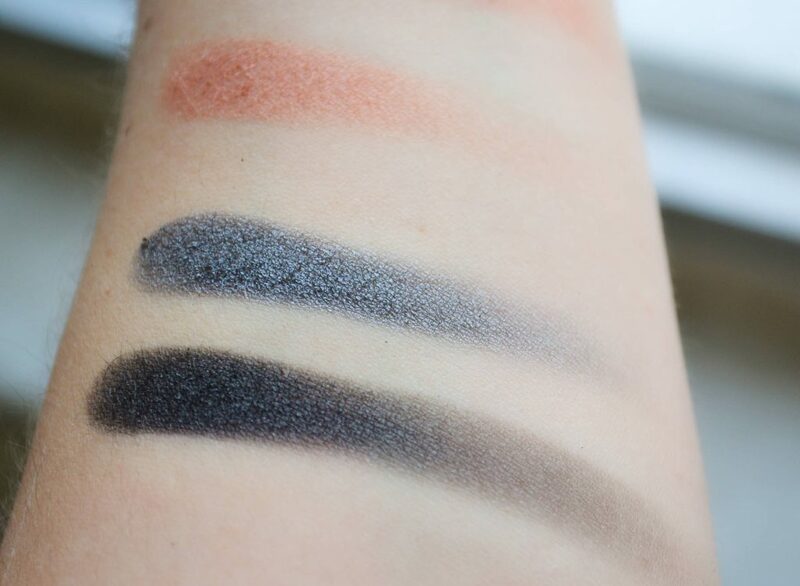 This month’s palette uses reds, browns, and greys – perfect for making a sultry, smoky eye. 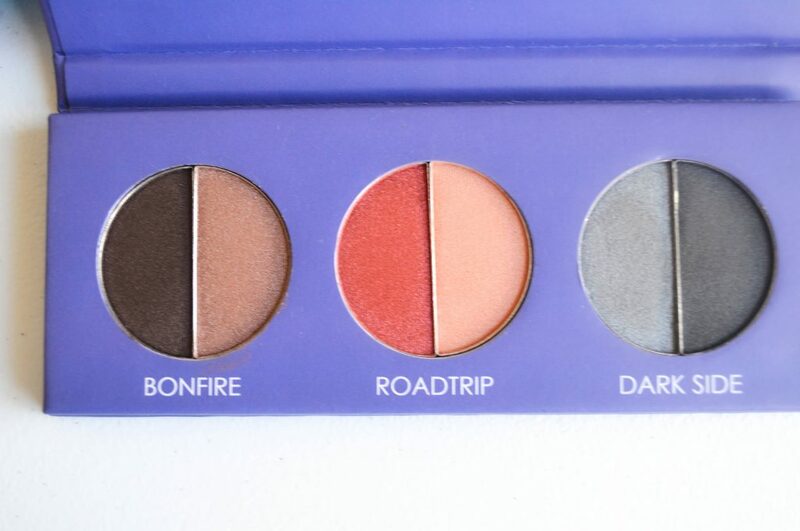 The palette contained three eyeshadow duos, Bonfire, Roadtrip, and Dark Side. 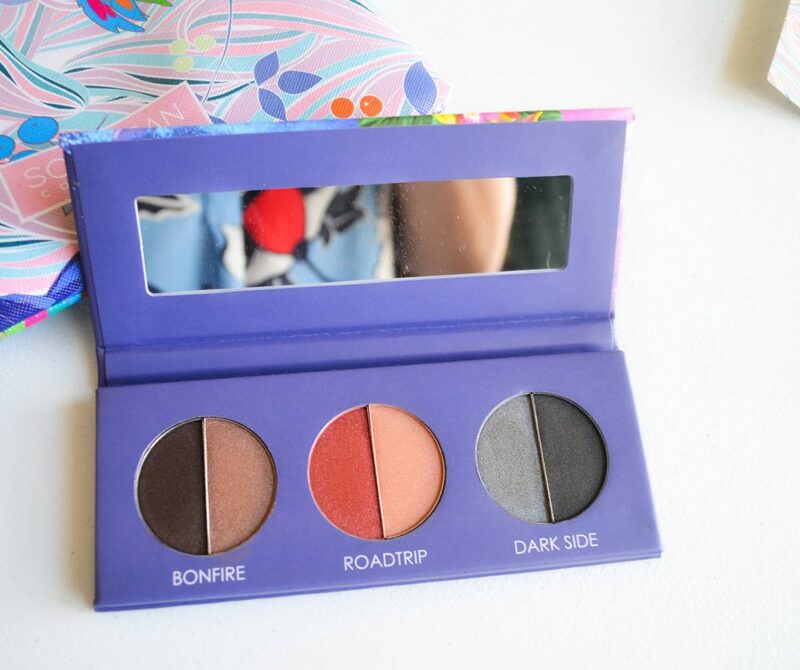 Bonfire is a matte brown/shimmery taupe duo, Roadtrip is a shimmery teracotta/satin peach duo, and Dark Side is a satin gunmetal/matte black duo. 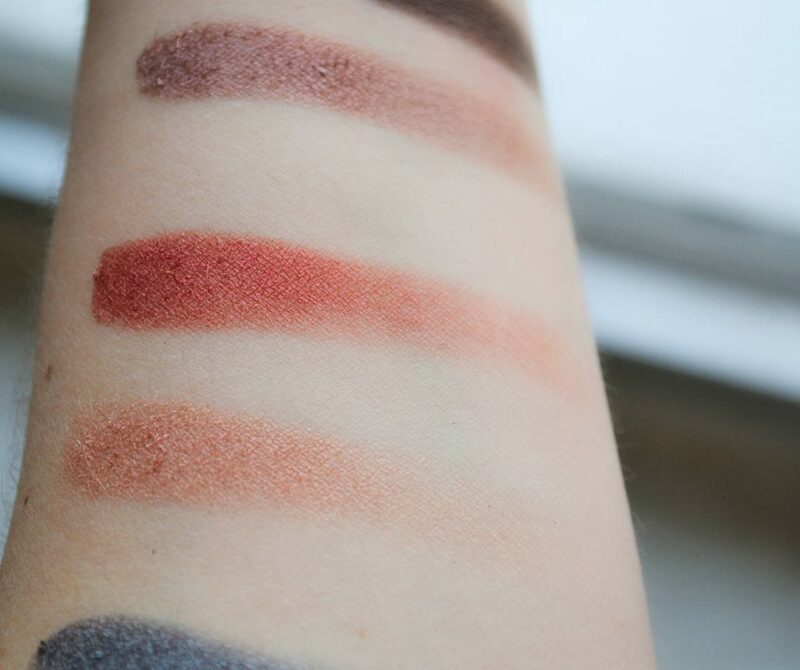 Each shade is incredibly pigmented, and they all have a buttery, creamy feel – even the matte shades! 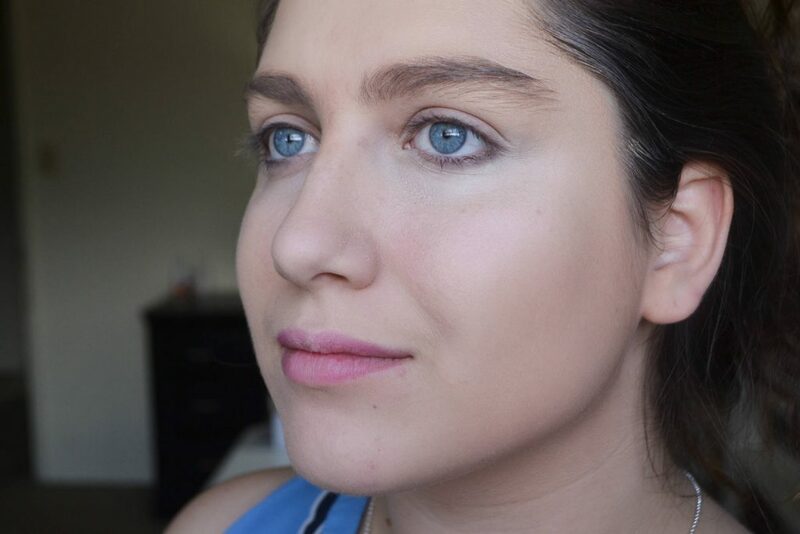 And in today’s makeup look, I used every single product in January 2019’s curation! Looking back, that metallic lipstick is stunning. The Bronzing Primer wasn’t for me, but I loved all of the other products in January’s curation. The cream highlighter and the metallic lipstick were real stand-out products for me. 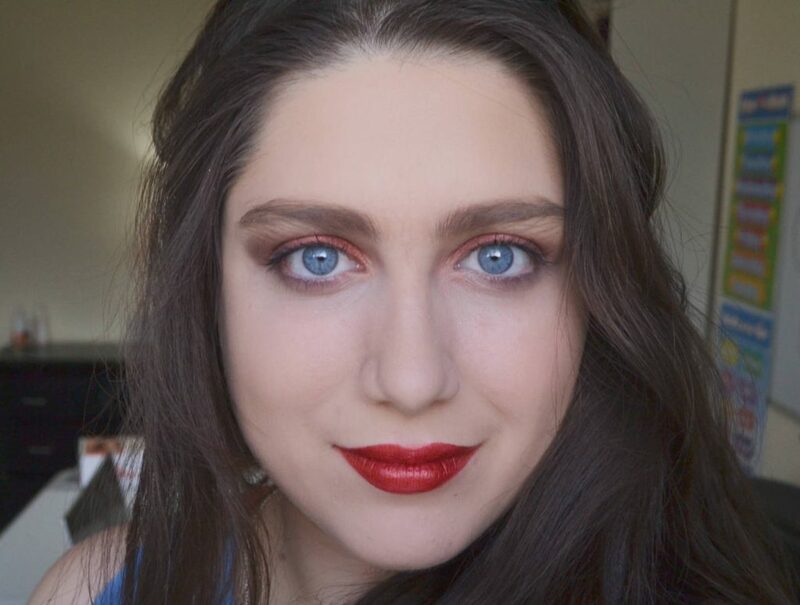 It was so much fun trying out such colorful makeup! Seeing all of these bright colors on my vanity inspires me to take risks with my makeup. Plus, it’s nice knowing that the products are vegan and cruelty free. 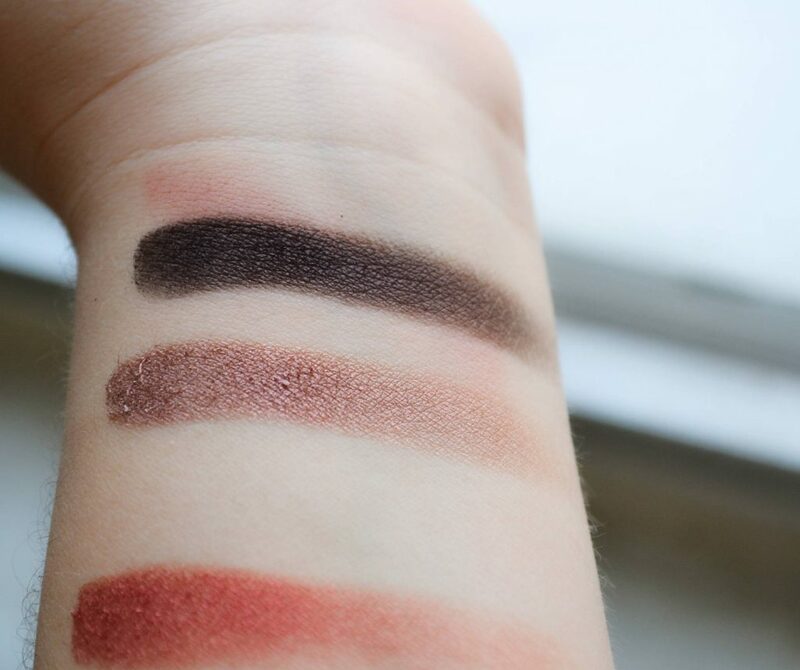 Color Curate is an awesome way to try out high quality makeup, while also saving money.